Absolutely amazing food! REAL BBQ, not some cooked meat covered in sauce. My favorites are the Big Bull and the Big Pig. Affordable too. Right above the FBO at Professional Air and great views of the 400 TO/landings daily. Open from 8am-2:30pm and breakfast all day. Grab a bite while you fuel up! 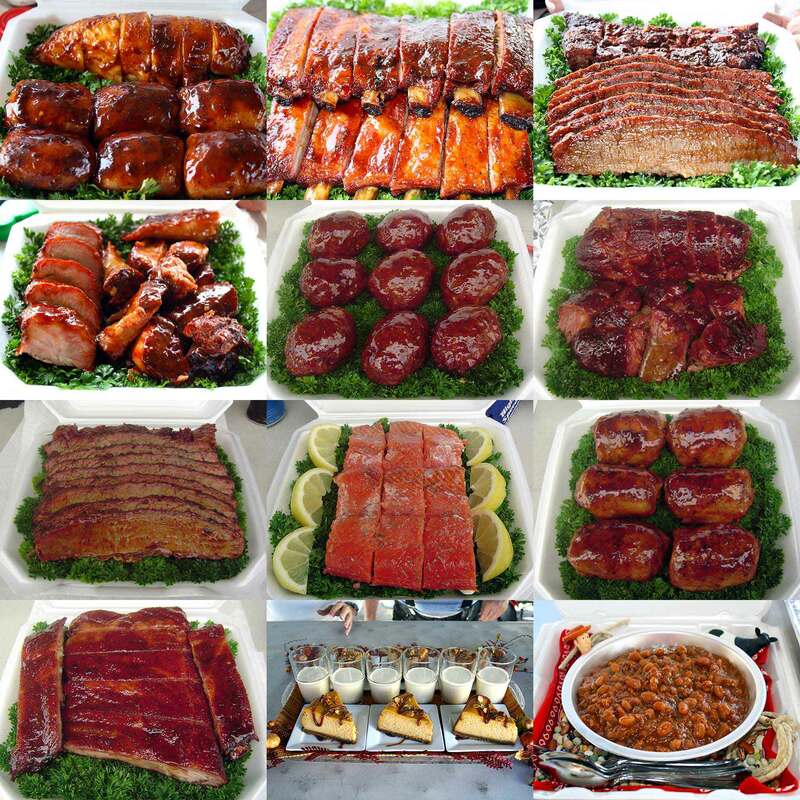 Award winning barbecue: tender brisket, flavorful pulled pork, tasty sausage. Great lunch time combinations. Even breakfast. The airport cafe space is back in business with an experienced barbecue pit master running the show. Give it a try sometime. And check out their menu, all on-line, with take out available. You can call your order in ahead of time for takeout or dine-in orders. Best BBQ in all of Central Oregon. Been here twice now for breakfast and lunch. The pulled pork is to die for. Out of the way and worth the drive out to airport. I do wish they'd put a food cart in at The Lot in Bend for better convenience. Oh and did I mention the portions are more than enough. 3 friends and I had lunch here on Thursday. It's at the Bend Airport, so there is plenty of entertainment outside the restaurant which is on the 2nd floor of the main building. My girlfriend and I had a sampler plate: delicious bbq pulled pork, chicken, sausage, and brisket. Killer beans and spicy cole slaw and outrageous french fries. Generous portions. We were passing by this place and decided to turn back around and we all came in for lunch. Super delicious pulled pork sandwiches and BBQ sauce! Friendly service and smiles makes this place a spot to return! Thanks for the great food and atmosphere!!! We visit the Pickled Pig once a month for a late breakfast / early lunch. Our Daughter (2.5) lives sitting near the window or on the back patio to watch the planes come on and take off. The staff is very friendly and the food is great! Would recommend the Pickled Pig to anyone in the area! I had a coupon for buy one/get one entree free so a friend and I decided to try it for lunch today. Wow! It was the best pork bbq I have ever had! It was on a beautiful soft roll and I had a side of some of the best baked beans I ever had.. including my own! the bbq sauce was just right, not too sweet, not too hot, but very flavorful.. perfect. My friend had the sampler with pork, brisket, and chicken and a side of cheese potatoes that was equally great. The PP is on the second floor at the Bend Municipal Airport and tables have a view of the runways.. very interesting to watch and we chatted with some pilots who were having lunch there. They said they are "addicted" to the PP's food. They also said they often have breakfast there. They are open 8am-2:30pm daily. The owner's are really friendly and work hard and have blue ribbons and trophies for winning bbq competitions displayed in the restaurant. We can't wait to go back! This rare find pleased us so much. Excellent meals well priced while one can view airport activity, clean, on second floor. Owned by an excellent chef who values what he serves. Great location to watch planes come and go. Fast and easy to order food. The older gentleman working was the sweetest man, he took good care of us. The big pig pulled pork sand which was to die for!!!! The best ever. We'll be back soon. 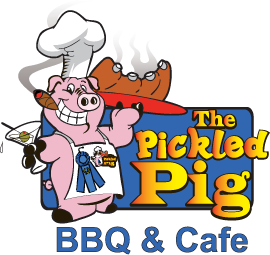 The Pickled Pig is open on Fridays from 7A-8:30P. Our smoked prime rib dinner special, grilled salmon, and Pork Spare Ribs (includes salad, roll, vegetables, side of your choice, and dessert) along with a limited version of our lunch menu are available so you can enjoy your Pickled Pig favorites. Your favorite cocktails, beers, and wines are also waiting for your order. So come on out to East Bend's best dinner experience and enjoy the spansive views of the airport and some amazing food. See what others have to say about us on Facebook, Yelp, Google, Trip Advisor, etc. and we think you'll agree that the trip to the Eastern boundaries of Bend will result in an amazing experience. So forget about the traffic and parking problems downtown and focus on the food, fun, and entertainment @ The Pig. New this year, we have eGift Cards that you can order online. It's the perfect stocking stuffer for your favorite BBQ enthusiast. Click here to order your eGift Card today.